Posted by fliere on Wednesday, September 5, 2018 in Events, News. 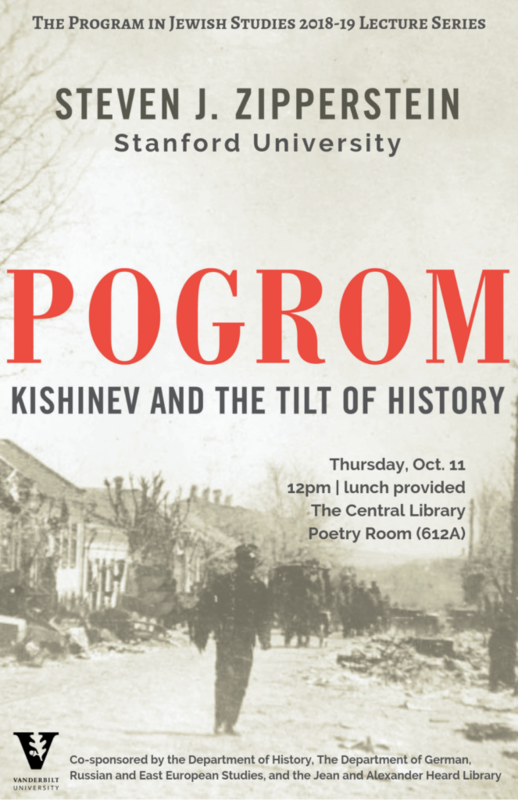 The Program in Jewish Studies is pleased to welcome Steven Zipperstein from Stanford University speaking on “Pogrom: Kishinev and the Tilt of History,” also the title of his new book. 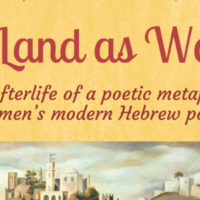 The event will take place on Thursday, October 11 at noon in the Poetry Room (612A) of the Central Library. A kosher lunch will be provided. In his most recent book, Pogrom: Kishinev and the Tilt of History, historian Steven Zipperstein describes how the provincial city of Kishinev, located at the edge of the Russian Empire, was wracked by three days of mayhem in April 1903, with 49 Jews killed and 600 raped or wounded. The riot would come to be seen as the 20th century’s most horrific anti-Jewish massacre before Buchenwald and Auschwitz, and the town’s very name came to evoke Jewish suffering and persecution more stark than any other. Zipperstein was determined to trace Kishinev’s origins, separating fact from fiction, in an effort to explain the exceptionally long shadow it cast over the rest of the century, and beyond.